We live in a world that is filled with germs. Everyone is concerned about body odor and most strive to be as clean as possible. That is why many people LOVE using the TOTO Washlet. It is a toilet that helps you get cleaner than you ever imagined possible. That is why some people are choosing to have them inside of their home. What better way to feel clean than to have a mini-shower each time you use the bathroom? One of the best toilet brands on the market is TOTO. They have designed the G500. It is a Washlet toilet that has everyone talking. Is it something you should have? Is it really worth the price? 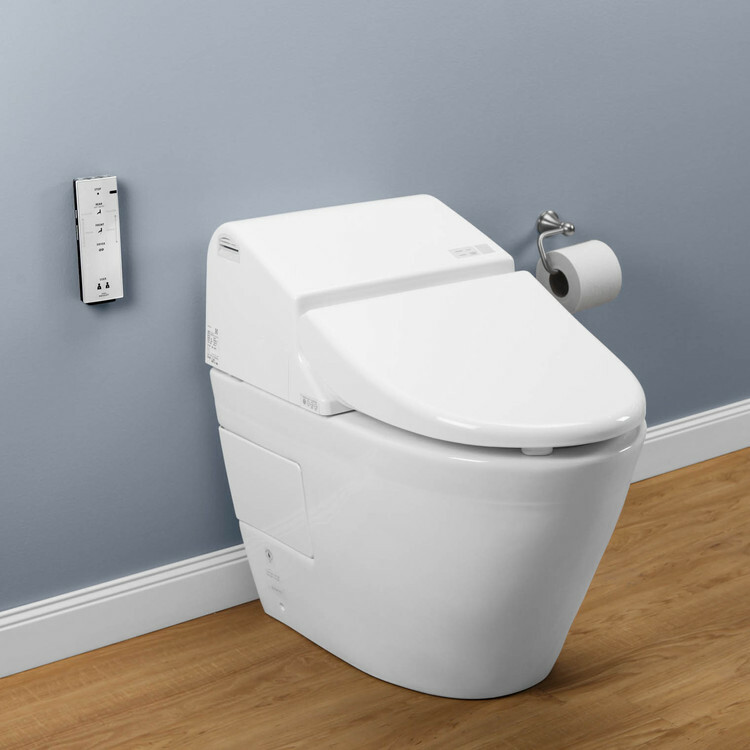 Read our TOTO Washlet G500 Toilet Review to find out. This is not only one of the most luxurious TOTO toilets, but perhaps one of the ﻿﻿best﻿﻿ ﻿﻿dual﻿﻿ flushing﻿ toilets available as well. It can save you water by using 0.9 gallons per flush when you are only flushing out wastewater or it can use 1.28 gallons if you are flushing out solid waste. Either way, you are going to save money on your water bill by using less water per flush than typical toilets. The G500 is so much more than just your standard bidet seat attachment. The washlet is actually integrated with the toilet and provide so many more ​features. The G500 is unique in the fact that it offers both front and rear warm water washing. You can control the temperature and the water pressure to ensure that you are as clean as you want to be when you get up from the toilet. There is no toilet paper brand available that can promise to do that!! You can control the water flow using a remote control. The remote has an illuminated touch pad so that you can see it easily, even during the night. It also has a memory that you can program for you and one other person to ensure that everyone gets the cleaning that they enjoy EVERY. SINGLE. TIME. The toilet lid can open and close automatically to ensure that you do not have to deal with someone forgetting to put the lid down. You also do not have to worry about someone forgetting to flush because this is also something that the toilet will do automatically. Can you imagine how much simpler this can make your life? No more surprises when you enter the bathroom! Along with washing you after you visit the G500 toilet, it can also dry you off. There is a warm air dryer attached to it to give you an even fresher feeling. This also ensures that you never have to purchase toilet paper again. This toilet is designed to be exactly what every bathroom needs it to be. It has a sleek, low profile that makes it look great. The bowl itself is elongated and you﻿﻿﻿ can choose from white or Sedona beige (see all colors here). It is a one-piece toilet so that you can clean it easily. It has an automatic air deodorizer to ensure your bathroom always smells as fresh as you will feel. Your comfort is one thing that the TOTO Washlet G500 takes into consideration. All of its features are designed to make you feel more comfortable throughout the day and as an added bonus, the size of it will also ensure you are comfortable while sitting on it. It measures 28.5 x 11.8 x 25.2 inches. The seat height is the same as standard toilets, but it maintains the compact design that many people love. This is definitely a top choice toilet from Toilet Review Guide. 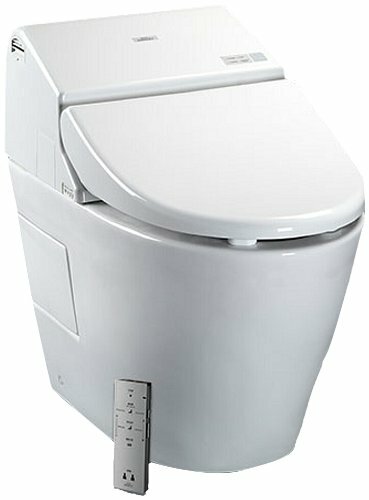 Is the TOTO Washlet Easy to Use? To find out about how easy and comfortable the G500 is, you should look to those who have already used it and loved it. Most say that installation is tricky and many recommend that you hire a professional plumber to handle it. It comes with a very large instruction manual. Eight pages of it are installation based and a lot of the diagrams are not very easy to understand. You have to add a water line in most cases, even though you may already have water that goes to the toilet. You will also need an electrical outlet nearby. Both of these things should be around 12 inches from the toilet. If you do get it installed, pretty much every reviewer states that it is a wonderful, sanitary way to use the toilet. They are happy that they purchased it and recommend that others give it a try, too. It is one of the easiest ways to feel clean. If you are looking for a washlet toilet, the TOTO G500 is able to provide more than most people ever dream of a toilet being able to give. It washes, it dries, it flushes well, looks great, and amazes all who use it. It is also much more affordable than the TOTO Neorest. It has a variety of features that are unexpected in a toilet. Therefore, if you have the money and want to be extra clean, forget the toilet paper and choose the G500. Are You Convinced the TOTO Washlet G500 Is the One For You?